vale a pena ler ....os comentários também . Original em - inglês apenas. Either things are getting rough in Salt Lake City, Utah, or the demand for second-hand Porsche 918 Spyder supercars is really off the charts. Regardless of the reason, a 22-year-old male broke through a dealership’s glass front to get one of his own — for free. According to police records, the young male was seen walking around Porsche Salt Lake City at various times before he actually decided to commit the crime. Crazy enough, it was at 4:30 pm and in broad daylight that the man, identified as Francisco Gonzalez-Velasquez, broke the dealership’s glass front and made his way to the key safe. 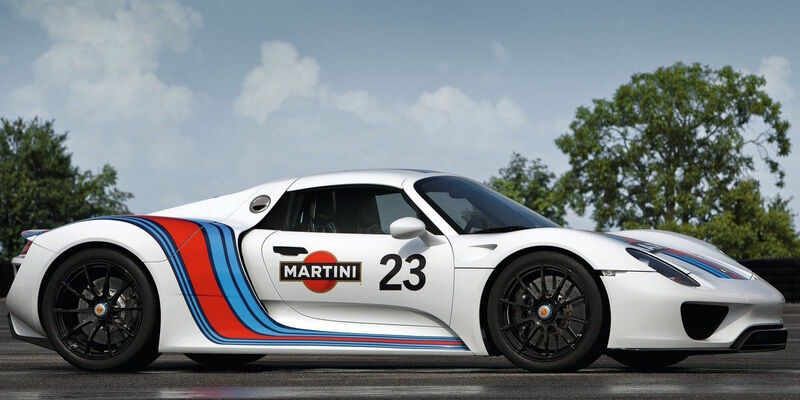 He then proceeded to grab the keys to a $1.7 million dollar Martini-liveried Weissach Edition 918, and drive it out the front of the building and go for a joy ride. Now, I don’t know how much automotive knowledge Mr. Gonzalez-Velasquez possesses, but to be able to go through all of the dealership’s keys and find the right one, while people are (most likely) screaming, alarms are ringing, and his adrenaline is at an all time high takes some serious skill. And then he had to figure out the start-up sequence for the Porsche 918 Spyder. I mean, it’s not precisely a VW Beetle. Anyhow, the police department caught up to him a few hours later as he was cruising around town in his multi-million dollar stolen car. It’s a crazy world, folks! Porsche 911 series built to be "everything to someone" not "Something to everyone". Horários baseados na GMT. Agora são 1:51.